The most recent addition to the Island Series shows not an entire island but rather a select view where trees, both dead and alive, tell a remarkable story. This island, part of a small grouping, can be found at North 49º29’16.0″, West 94º16’14.0″. 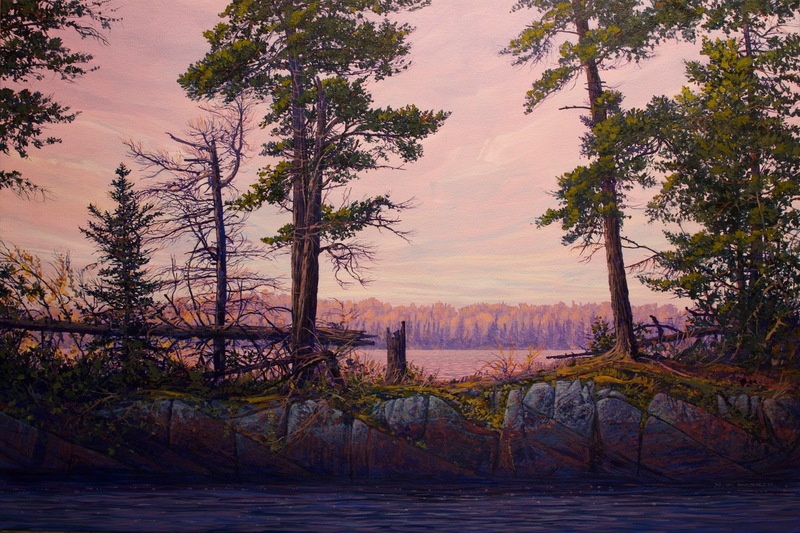 The Island Series will eventually be comprised of 100 paintings from 100 different locations at Lake of the Woods. The collection will be shown through Mayberry Fine Art in Winnipeg and Toronto. Further information can be obtained from the gallery or by request through this website.